Earlier this year Facebook launched a new beta feature for a small group of U.S. publishers to let them label stories as ‘breaking news’, and now the social network has announced it has expanded this ability to over 50 additional publishers in Latin America, Europe, Australia and North America, which includes Canada. The first Canadian publishers taking part in this ‘breaking news’ beta include Global News, CityNews, CBC and Journal de Montreal. Publishers will be able to use the ‘breaking news’ label for Instant Articles, mobile and web links and Facebook Live. The label can be used once a day and marked for up to 6 hours. Facebook says readers will have the option of providing feedback for news items they don’t consider breaking news. 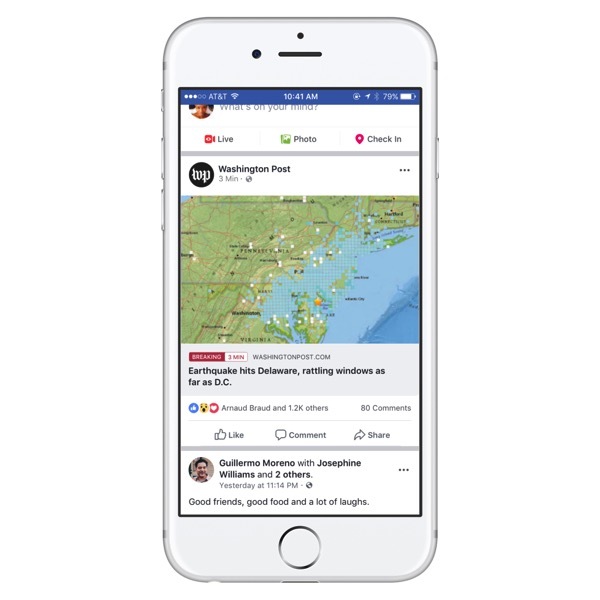 Facebook says from their early tests in the U.S. with this breaking news label, it has increased engagement for publisher stories, including higher clickthrough rates, likes, comments and shares.